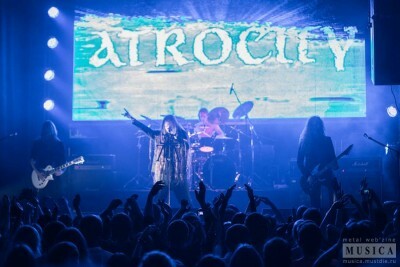 Atrocity – Official Website » Merry X-mas! 2013 was a fantastic year for ATROCITY! The new album “Okkult” was embraced by you with such great feedbacks, wow!! We would like to thank all of you who attended our European, Asian and Russian shows 2013! Thanks for the killer concerts! We had a blast! We wish you all a HEAVY x-mass and New Year 2014! See you all on tour! Next stop: UK in January!